The late Sergeant-Major Ernest Joseph Legg enlisted in the the Queen's Royal Regiment, Dorchester, in 1920. 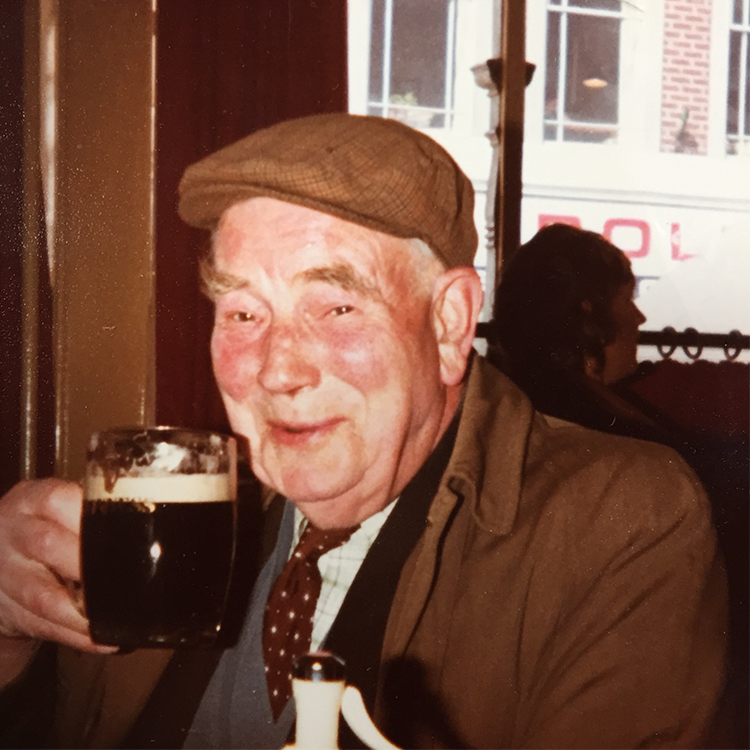 He went on to serve throughout the Second World War and was discharged in 1951 after displaying great courage and a fine example to his men. Legg was awarded the George Medal in 1941 for his heroic actions during an accident which saw several servicemen killed and others wounded. Somewhere in Britain a group of infantry accidentally entered a minefield intended to trap invaders. Some mines exploded and all around the ground was thickly sown with other unexploded mines, in the middle of the field lay a wounded man. With complete disregard to their own safety Sergeant-Major Legg and a fellow Lance-Sergeant Hardy (also awarded the George Medal), and other servicemen displayed exceptional courage in recovering bodies from the danger area of the mine field. A newspaper cutting from the 1940's regarding the event reads "They both carried out their task with extreme coolness and courage and their bearing throughout was of the highest order." 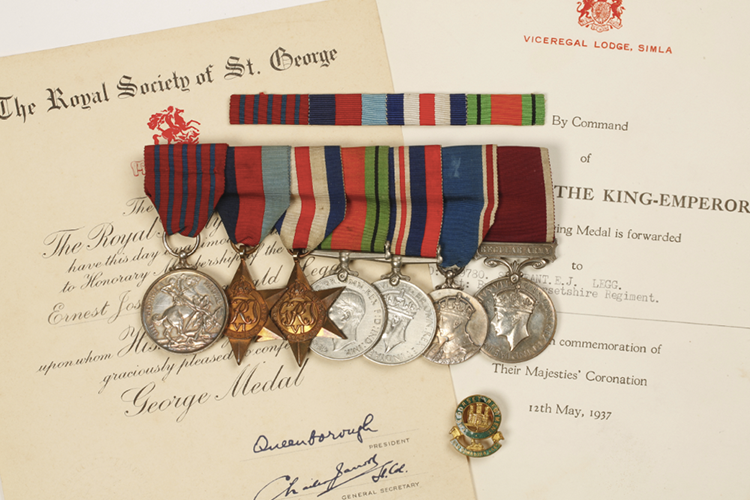 Only approximately 2,122 George Medals have been awarded since its inception in 1940, designed for recognition of "acts of great bravery." Duke's of Dorchester are expecting the group of medals to achieve up to £4000 in their Coin, Medal and Collectables Auction to be held on March 12th. To handle groups of medals awarded to brave soldiers during the First and Second World Wars, or earlier, is a great thrill. Some of the acts of bravery throughout history are outstanding, and it is an honour to be able to be able to find keen collectors who will treasure and keep these memories alive for years to come.